With that question in mind, I decided to read Deaconess Elizabeth Ahlman’s Demystifying the Proverbs 31 Woman (CPH, 2017). I’ve had relatively few books completely transform my reading of Bible passages (John Kleinig’s masterful Leviticus Commentary is another), but this is definitely one. 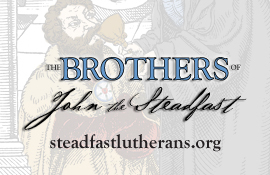 Ahlman begins with a close reading of Prov 31:10–31 and its chiastic poetic structure. If you find the thought of Hebrew grammar and “chiastic structure” intimidating, don’t worry ladies. She’s got diagrams! Ahlman then carefully contextualizes the passages first in relation to the rest of the chapter, then in relation to the rest of Proverbs, next in relation to other descriptions of women in Ruth and the Song of Songs, and in relation to Psalms 111–112. Despite employing all the academic apparatus of a skilled scholarly exegete, Ahlman’s writing is both accessible and engaging. I know I certainly came away from the book having learned a great deal and I imagine most laity (and some pastors?) would feel the same. On the other hand, I never had a difficult time understanding her. Translating academic language into popular prose is by no means easy, but Ahlman makes it look that way. Moreover, Ahlman structures Demystifying the Proverbs 31 Woman in a Bible study format. Each chapter begins with a short prayer, lists the chapter’s key scholarly terms, includes call-out boxes, and periodically stops to ask questions. CPH helpfully provides space for readers to write in their own answers and a set of pre-written answers for a study leader at the back of the book. 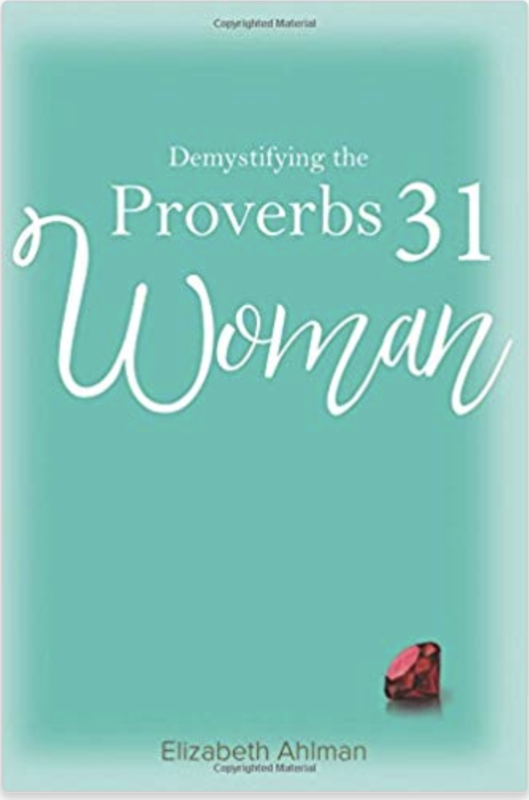 In short, Ahlman presents the readers with three primary—and by no means mutually exclusive—interpretations of the Proverbs 31 Woman. First, we can see the Proverbs 31 Woman as a portrait of who all believers—not just women—are in Christ (162). The passage shows how baptized believers serve their neighbors through their vocations, not how harried women can earn points with God or others by checking tasks off their respective to-do lists (162). In a time of confusion over sexuality and gender identity, passages like Proverbs 31 tend to get weaponized. Gender-role traditionalists may be tempted to use Ahlman’s convincing interpretation to insist that women really cannot “have it all,” since the passage doesn’t really apply to women as such in any case. It seems to me though, that Ahlman expands, rather than contracts, what this passage says to women. Interestingly, in an excursus on household economy, Ahlman notes that the description of the Proverbs 31 Woman’s tasks and socio-economic role match up to actual life for relatively Mediterranean well-off women at that time (29-32). As she writes, “After all, women in ‘those days’ didn’t have any freedom, autonomy, or economic role, right? However, the assertion of total female disempowerment is a myth” (29). While the Proverbs 31 Woman is not primarily a role model for woman to emulate, neither is she not a model for contemporary Christian women. Instead she offers an example of the many and varied ways God has given women to serve families in their vocations as wives, mothers, and neighbors. In addition to interpreting the Woman as a Christian at work in his or her vocation, Ahlman sees the Proverbs 31 Woman “as a portrait of the Church” and “as a portrait of Lady Wisdom/Christ as Wisdom Incarnate” (161, 158). Ahlman explicitly favors interpreting the Proverbs 31 Woman as an image of Christ, who does all things for us on our behalf (163). Lady Wisdom’s “actions, words, worth, strength, service on behalf of her household, fear of the Lord, and how she is treated by others all come together to show how she is Wisdom…. Wisdom’s self-description makes it clear that Jesus is Wisdom Incarnate” (103, 105). If Ahlman is right, and she’s got me convinced, then we need to read Proverbs 31:10-31 as a Gospel text portraying the work of Christ and read the rest of Proverbs through the lens of the book’s beginning and ending passages. In other words, Proverbs, like the rest of the Bible, is about Christ and what He’s done for you! Marketing this book must have proven difficult. With some further research and additional writing, I could see CPH selling this book as an “academic” work as opposed to a women’s devotional book. Ahlman interacts with current professional scholarship and makes her own original arguments. Moreover, as Ahlman notes, if the Proverbs 31 Woman is Christ, then the passage loses its gendered connotations (160). However, while Ahlman could have expanded her work and marketed to a different audience, it possibly would have not reached as large of an audience. 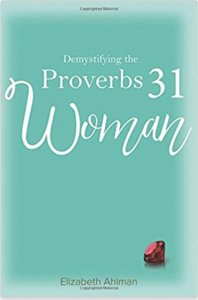 In the end, Ahlman and CPH probably made the right decision to publish Demystifying the Proverbs 31 Woman as a Bible study or devotional work directed at women who are more likely to purchase a book about a figure described as “an excellent wife” (Proverbs 31:10). In any case, Ahlman does all potential readers a service by pointing us away from our own work and toward Christ.